Are you a brand new user of ERP system for your school or college? When you are a new user or even someone who has been dealing with ERP for a long time, you need to abide by certain tricks to make the most out of it. One of the most important steps to a successful implementation is proper training of your teachers who will be using ERP software. You and your teachers and other staffs must know how to use it to make its full utilization. So, make sure you and your staffs get trained properly and keep getting trained every now and then. Fedena provides video tutorials and full-fledged help desk to keep you always trained in latest and greatest. Be ready for any kind of change in your school administration processes that you need to make in order to let ERP software work properly. It will be better if the management of your institution can undergo a crash course in change management. Before you make investments in ERP, you must be well acquainted with the latest ERP trends in the education sector. The ERP industry is all the time undergoing upgradation, but before you go for any trend, you must make thorough researches and choose the one that suits your institution the most. 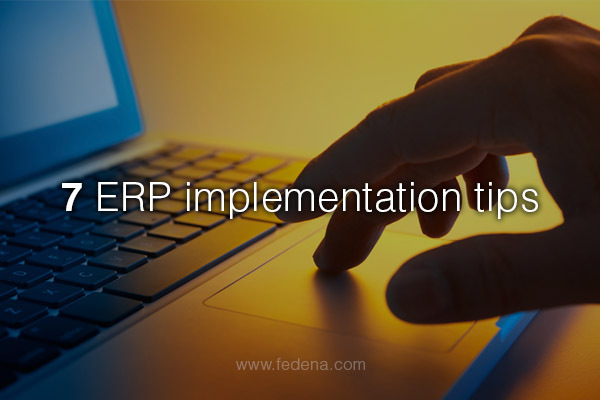 Its always advised to implement ERP in stages and not all at once. In fact, this process can help you enjoy many benefits and advantages as compared to the conventional ‘big bang’ method to implement all in one go. To improve the usage of ERP software among your teachers and other staffs, you can use the ‘carrot and stick’ strategy. Reward those staffs who make successful usage of the school management system on a regular basis. Plan out a roadmap and try to stick to it as this would help you not to cross the estimated budget limit and get the task done within a limited time period. You can create a team with the best employees including the best teachers and other staffs and allot them the power and authority to make sure that the project is done well and on time. Proper implementation of ERP is an important task and requires proper time management to yield the best out of it.